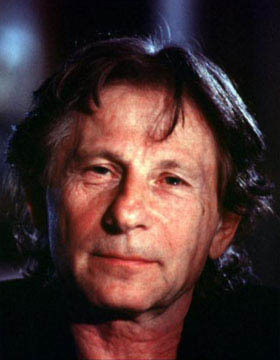 Roman Polanski (b. 1933), a Polish film director and actor. ROMAN POLANSKI born in Paris to Polish parents, Roman Polanski was raised and educated in Poland He made his stage acting debut at the age of 14, and performed on the radio show “The Merry Gang.” Also in his teens, he appeared in several Polish feature films, including Andrzej Wajda’s “Generation.” He attended art school in Cracow and the National Film School in Lodz, where he directed several short films, including “Two Men and a Wardrobe” (1958) and “When Angels Fall” (1959). These short films garnered him awards at various film festivals. His feature film directorial debut was “Knife in the Water” (1962) , which won the Critics’ Prize at the Venice International Film Festival, was nominated for an Academy Award as Best Foreign-Language Film, and made the cover of Time. Journeying to England, Polanski made his first English-language feature, “Repulsion” (1965) , starring Catherine Deneuve. The film earned the Silver Bear Award at the Berlin International Film Festival, while Polanski’s next British feature, “Cul-de-Sac” (1966) won the Golden Bear Award at the same festival the following year. He played a lead role in his next British film, “The Fearless Vampire Killers” (1967) , before coming to America to make “Rosemary’s Baby” (1968) , starring Mia Farrow. That film brought him an Academy Award nomination for Best Adapted Screenplay and earned Ruth Gordon the Oscar for Best Supporting Actress. Polanski returned to Europe to direct Jon Finch and Francesca Annis in his adaptation (co-written with Kenneth Tynan) of Shakespeare’s “Macbeth” (1971) . His next film, “What?” (1972; a.k.a. “Diary of Forbidden Dreams”) starred Marcello Mastroianni. He went back to Hollywood to make Chinatown (1974), which won the Golden Globe Award for Best Picture [Drama]. Jack Nicholson and Faye Dunaway starred in the film, which was nominated for 11 Academy Awards, including Best Picture and Best Director, winning Best Original Screenplay for Robert Towne’s script. Back in Europe, Polanski next helmed “The Tenant” (1976) , in which he starred with Isabelle Adjani; and “Tess” (1979) , which was adapted from Thomas Hardy’s Tess of the D’Urbervilles. The film, starring Nastassja Kinski, earned 6 Academy Award nominations, including one for Best Director. It won 3 Oscars:Cinematography, Art Direction and Costume Design. His autobiography, Roman by Polanski, published in 1984, was a best-seller in several languages. Polanski subsequently directed “Pirates” (1986) , starring Walter Matthau; and “Frantic” (1988) , starring Harrison Ford and Emmanuelle Seigner. Seigner also starred for him, alongside Peter Coyote, Hugh Grant, and Kristin Scott Thomas, in “Bitter Moon” (1992) . Later in the decade, he made “Death and the Maiden” (1994) , starring Sigourney Weaver, Ben Kingsley, and Stuart Wilson; and “The Ninth Gate” (1999) , starring Johnny Depp, Lena Olin, and Seigner. The memoirs of Wladyslaw Szpilman, a Polish Jew who detailed his survival during World War II, were the subject of Polanski’s next film, “The Pianist.” In its world premiere at the 2002 Cannes International Film Festival, the feature won the top prize, the coveted Palme d’Or (Best Picture) award. “The Pianist,” starring Adrien Brody as Szpilman, was subsequently honored around the world. The film won 7 César [France’s equivalent of the Oscar] Awards, including Best Film, Best Director. “The Pianist” also won Best Film and Best Director at the U.K.’s BAFTAs [British Academy of Film and Television Arts]. 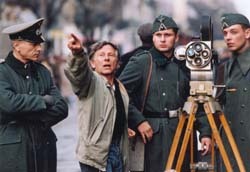 In Poland, the film won 8 Eagle [the country’s Oscar equivalent] Awards, including Best Film and Best Director, and Polanski received an Honorary Eagle Lifetime Achievement Award. “The Pianist” earned 7 Academy Award nominations, among them Best Picture. 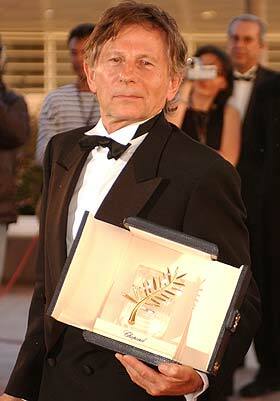 Polanski won the Academy Award for Best Director. In addition to directing for the screen, Polanski has directed stage and opera productions. He directed Alban Berg’s “Lulu,” at the Spoleto Festival; Verdi’s “Rigoletto,” at the Munich Opera; and Offenbach’s “Tales of Hoffmann,” at the Paris Opera Bastille. In 1981, he directed and starred in a production of Peter Shaffer’s “Amadeus” that was first staged in Warsaw and then in Paris. In 1988, he played the lead role in Steven Berkoff`s stage adaptation of Franz Kafka’s “Metamorphosis.” In 1996, he directed Fanny Ardant in a production of Terrence McNally’s “Master Class.” Also in 1996, Polanski directed a musical comedy production, “Tanz Der Vampire,” in Vienna, which was based in part on his 1967 movie “The Fearless Vampire Killers.” In a rare latter-day lead acting role, Polanski starred opposite Gerard Depardieu in Giuseppe Tornatore’s “A Pure Formality” (1994). He also recently starred in Andrzej Wajda’s “Zemsta” [“The Vengeance”] (2002). He became a member of the Institute De France’s Académie Des Beaux-Arts in 1999 (succeeding the late Marcel Carné). He is the 2002 recipient of the Golden Scepter, awarded by the Foundation of Polish Culture.